"I'm sorry to hear of Dr. Shields's passing. I met him many..."
"My condolences to the family and friends of Dr. Shields. I..."
James Marion Shields, Jr., 97, died on Tuesday July 19, 2016 at his home at Pioneer Ridge Assisted Living in Lawrence. Jim was born in Fruitvale, Texas, on October 25, 1918, the oldest child of James Marion Shields Sr. and Florence Olive (Perry) Shields. He moved in 1951 to El Dorado, Kansas, where he practiced family medicine as part of the El Dorado Clinic until his retirement in 1988. Jim served as Butler County Coroner in 1953 and on the El Dorado Board of Education over several terms. He was a long-standing member of the First United Presbyterian Church He was preceded in death by his parents, his wife, and a sister, Marguerite Nelson. He is survived by a brother, William J. Shields (Johanne) of Richardson, Texas; his children Nancy A. Nowlin (Stewart) of Lawrence, Thomas M. Shields (Shannon) of Manhattan, Suzanne L. Shields (Randy Porter) of Wichita, Steven M. Shields (Susan) of Ballwin, Missouri, and Joseph C. Shields (Christine Ann Fidler) of Athens, Ohio; eight grandchildren, two great-grandchildren, and eight nieces and nephews. A memorial service is scheduled for Saturday July 30 at 11:00 am at Carlson's Funeral Home in El Dorado. Friends may call one hour preceding the service at the funeral home. In lieu of flowers, the family has requested that donations be made to the Bradford Memorial Library, 611 S. Washington St., El Dorado, KS, 67042. in El Dorado. 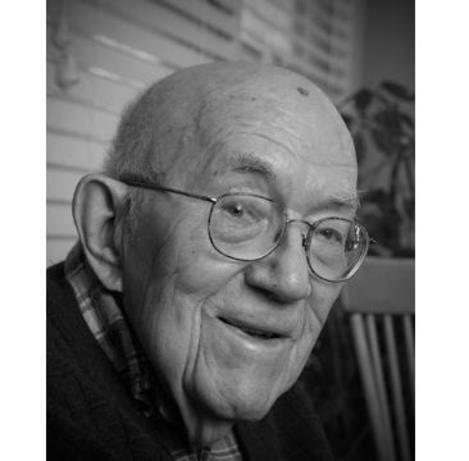 Please sign his online guestbook and leave a memory of James at www.carlsonkirby morris.com.